Purpose: This award was established by the Provost to recognize an individual who has contributed to advancing international education at Kansas State University. Award: One person is recognized each fall during International Education Week. The recipient receives a plaque and a $1,000 honorarium. Nomination / Application Process: Anyone may nominate a person to be recognized. The nomination process is announced in October of each year. The nomination must include information explaining how the nominee has advanced international education at K-State. The nomination should be forwarded to Marcellus Caldas, Assistant Provost International Faculty Collaborations and Educational Programs in the Office of International Programs. Reception: The recipient will be honored at the International Educator of the Year Awards Ceremony. Selection Committee: The selection committee will consist of past International Educator awardees, and staffed by Office of International Programs personnel. For more information: Contact Marcellus Caldas at the Office of International Programs by e-mail caldasma@k-state.edu. Trisha Gott is responsible for supporting the Alternative Breaks and International Service Teams programs and she has done much to advance international education to faculty and students across the institution. Gott also teaches select courses in the leadership minor and supports service-learning initiatives. Mary Tolar, director and associate professor in the Staley School of Leadership Studies, indicated in her nomination letter that Gott showed demonstrated maturity, adaptability, and the ability to function effectively as a leader and within a team. "She doesn't do anything by halves; she commits herself to the project, team, or idea at hand with sincerity and energy. Trish has consistently demonstrated great cultural sensitivity and creativity and encourages her students to think beyond the scope of their classroom by asking the difficult questions and confronting their assumptions. By doing so, she helps them to more effectively and critically engage with the many challenges our world faces today," Tolar said. Terrie R. McCants is the program coordinator for the certificates in conflict resolution and the co-coordinator for the Conflict Analysis and Trauma Studies minor at Kansas State University. As part of those programs she also facilitates two study abroad courses: one on Peace and Conflict in Northern Ireland, and the other on Sustainable Peace in Post-Apartheid South Africa. Besides teaching, Terrie works as a mediator at the School of Family Studies and Human Services' Family Center and is the mediation coordinator for Kansas State University. Chuck Rice joined the KSU Agronomy faculty in 1988. He is the University’s Distinguished Professor of Soil Microbiology and the Incoming Chair of the Board on Agriculture and Natural Resources, National Academies of Sciences, Engineering and Medicine. Internationally, Rice was a member of the United Nations' Intergovernmental Panel on Climate Change that received the Nobel Peace Prize in 2007. He also is one of five team leaders for a $20 million Kansas NSF EPSCoR project researching global climate change and renewable energy research. Chuck Rice has developed innovative programs to advance international education at K-State through the U.S. Department of Education, study abroad, recruiting and mentoring international students, in addition to international collaborative research. Chuck was recently appointed to a three-year term as chair of the national Committee on Environmental Microbiology, a component of the Public and Scientific Affairs Board of the American Society for Microbiology. He chairs the Division on The Role of Soils in Sustaining Society and the Environment of the International Union of Soil Sciences. He also is a fellow of the Soil Science Society of America, American Society of Agronomy and the American Association for the Advancement of Science. Hosni joined the K-State College of Engineering faculty in 1991. He was director of the Institute for Environmental Research from 1993 to 2001, and served as head of the department of mechanical and nuclear engineering from 2001 to 2009 He is the Charles and Nona Frankenhoff chair in engineering and Professor of mechanical and nuclear engineering. deserving people are somehow overlooked. My hearty congratulations go to Mo.” said Bill Dunn, professor and head of the mechanical and nuclear engineering department and the Steven M. and Kay L. Theede chair in engineering. According to his nomination information, it was noted that Mo is passionate about advising and mentoring students and he currently as advisor for a number of international undergraduate students from Austria, Hong Kong, and many other countries. Hosni is a Fellow of the American Society of Mechanical Engineers, and has been recognized at K-State with the Myers-Alford Teaching Excellence Award and the Research Excellence Award. He was also a recipient of the 2003 American Society of Heating, Refrigeration and Air-Conditioning Engineers Distinguished Service Award. In 2004 he was named a Distinguished Fellow of the Mississippi State University Bagley College of Engineering. Dr. Prasad has made significant contributions to the culture of international engagement, scholarship, and excellence in research and teaching at Kansas State University and is very deserving of the 2013 K-State International Educator of the Year Award. While at KSU, Dr. Prasad has obtained over $12 million in extramural funding, $8 million of which he served as Principal Investigators and almost $3 million focused on international research and education. Dr. Prasad is passionate about international research, teaching, and extension programs. His teaching and research programs are improving crop productivity of small holding farmers, developing climate resilient sustainable crop management practices, and building capacity of national agricultural research programs. Mary Beth. Kirkham, Ph.D. Professor in the Department of Agronomy nominated Prasad as well as accepted his award for him as Prasad was in India at the time of the Awards presentation. Provost Mason, during her remarks, referred to his successful funding he has obtained while serving at KSU and his passion for international agriculture sustainability. Dr. Prasad has also graduated 10 international students with advanced degrees and has trained 27 international scholars and faculty in his laboratory from countries all over the world. He currently has active research and education programs in several countries in West Africa (Ghana, Mali, Niger) and east Africa (Kenya). These projects were funded through USAID-Collaborative Research Support Programs (now called Feed the Future Innovation Labs). These programs are focused on development, testing, transfer of technologies that improve profitability of small scale farmers through adoption of improved and sustainable crop, soil and water management practices. 2013 Outstanding Support for International Initiatives was presented to Derek Jackson, the director of housing and dining services at K-State by Sara Thurston-Gonzalez, Director of International Student and Scholar Services. Derek and Sara established the first International Student and Housing Committee to better serve the increasing number of international students. They also set up staff trainings to service international students and provided tours for international program staff to help understand the different living options. Derek credited his professional staff of hundreds that have stepped up to serve the university's international student population. 2013 Innovative Education Program of the Year recognized the Brazilian government for its investment and commitment in transforming education in Brazil through the Brazil Scientific Mobility Program. This program provides scholarships in STEM fields to undergraduate students from Brazil for one year of study at colleges and universities in the U S. Students in the program return to Brazil to complete their degrees. This program is part of the government's larger initiative to grant 100,000 scholarships for the best students from Brazil to study abroad at the world’s best universities. Kansas State University has worked diligently to attract an all-time high of 2,106 international students to our campus, with an also all-time high of 60 undergraduate mobility students from Brazil. Mary Beth. Kirkham, Ph.D. Professor in the Department of Agronomy nominated Prasad as well as accepted his award for him as Prasad was in India this week. Provost Mason referred to the funding he has obtained while serving at KSU and his passion for international agriculture and his commitment to advancing international research and education was at K-State. Caldas earned his Master of Science in agricultural economics from Federal University of Vicosa, Brazil; his Doctor of Science in applied economics from University of Sao Paulo, Brazil; and his Doctor of Philosophy in geography from Michigan State University. He was also a postdoctorate fellow at the Center for International Development, Kennedy School of Government at Harvard University. He is currently a full-time tenure track faculty member in the department of geography. "Caldas has worked tirelessly to improve international education and scholarship during his five years at K-State, while at the same time he is working to put together the strongest possible research, teaching and service portfolio for his upcoming tenure and promotion decision," said Marcelo Sabates, associate provost of international programs. “He has unbounded enthusiasm for international programs and his hard work is evident in generating opportunities for K-State students to learn more about the world outside our borders,” Sabates said. Dr. Walter Renberg is the Director of International Programs for the College of Veterinary Medicine and has served as the driving force for advancing the international mission of the College. Dr. Renberg is an Associate Professor of Small Animal Surgery in the Department of Clinical Sciences. Renberg joined the faculty as Assistant Professor in 1998 and was promoted to Associate Professor in 2005. 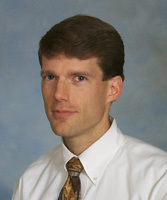 In 2007, Dr. Renberg was recognized by his trainees with the Award for Excellence in Mentoring. He is the point person for international activities within the College of Veterinary Medicine, and has incorporated international activities and awareness into every aspect of his work: scholarship, university service, and teaching. Dr. Renberg was a founding member of the College of Veterinary Medicine International Activities Committee, and chaired the committee for six years. Under his leadership, the committee identified funding and directed renovation of two apartments within Mosier Hall for use by international visitors. Dr. Renberg has personally hosted 12 groups or individual visitors. Dr. Renberg is the Charter Advisor of the Student Chapter of the International Veterinary Student Association. He has arranged opportunities and funding for veterinary student to gain international field experience in Germany, India, Brazil, Kenya, Mexico, Costa Rica, Hungary and England. He has led faculty/student humanitarian trips to China, Mongolia and Haiti. Many of these tours are the result of his role as Faculty Advisor for the Christian Veterinary Fellowship. In addition, he arranged for CVF student mission trips to Honduras, Bolivia, Kenya, Uganda, and Nigeria. Dr. Renberg initiated the Afghanistan activities within our College in 2006, opening the door for Dr. David Hodgson to spend six months working with Kabul University students through USAID. Dr. Hodgson was granted additional USAID funds to return to Kabul for two months every year for the next six years. At the University level, Dr. Renberg has served on the search committee for the Interim Associate Provost for International Programs, the College International Advisory Committee, the International Activities Council. He has served on the Board of the Friends of International Programs since 2008, and currently serves as President of the organization. Dr. Renberg has designed two courses to support the international interests of veterinary students. He has created a scholarship effort for international programs; he has lectured around the world to provide continuing education in basic orthopedic procesures. He has collaborated with Dr. Roman Ganta to create a partnership in India through the American Association of Veterinary Medical Colleges Global Initiatives in Veterinary Education project. Walter Renberg has demonstrated his ability to create opportunities for students and faculty and has elevated awareness of these activities among the entire faculty within the College of Veterinary Medicine. He has demonstrated his commitment by incorporating international activities into every facet of his responsibilities as a faculty member. His leadership in international programs has grown in a continuous and increasingly effective manner each year that he has been at Kansas State University. Dr. Renberg has made, and is continuing to make, a tremendously positive impact on international programs at Kansas State University, the veterinary profession, and abroad. Swinder Janda, professor of marketing and Paul Edgerley Chair in Global Business at Kansas State University, is an expert on online buyer behavior and customer satisfaction. Janda's research in online buyer behavior has led to the creation of a five-dimension scale that measures the customer service quality of Web sites. By addressing issues of company performance, Web site information, security, product sensation and access, Janda has categorized the needs of Internet shoppers into easy-to-follow guidelines. His primary areas of research include brand identification, satisfaction, brand loyalty and relationship issues. His teaching interests include global and international marketing, international business, marketing research and consumer behavior, all of which he has taught numerous times in the United States, as well as abroad. According to Dr. Kevin Gwinner's nomination letter, Dr. Janda has been highly involved in leading the international efforts of the College of Business Administration on all fronts - establishing and implementing global experiential learning activities for K-State students, developing international marketing courses at both the graduate and undergraduate level for online courses, hosting the IBSA student club meetings at his home, awarded the Paul Edgerley Endowed Chair in Global Business, serving as Chair of the Dean's International Council, and organizing faculty-led group trips abroad that include destinations such as London, Paris, Brussels, Munich, Dublin, China, and Italy. E. Chambers is currently a University Distinguished professor of sensory analysis and consumer behavior and director at Kansas State University. D. Chambers is currently an assistant professor and co-director of the sensory analysis center at Kansas State University. The Chambers, nominated by Dr. Denis Medeiros, are recognized for their team effort in their international research and training. With the investment of large corporations, such as Frito-Lay, the Chambers have conducted many international activities within the Sensory Analysis Center (part of the K-State Department of Human Nutrition) in order to create market penetration in Asia. They have established a sensory analysis panel in Thailand, considered to be a satellite of the Manhattan, Kansas program, with similar programs beginning to take off in Argentina, South Korea, and South Africa. The Chambers have also taught short courses abroad to industry and academic professionals, along with American students traveling with them, in Thailand and South Korea. The Chambers have been leaders in developing extensive collaborations with international universities, both serving as active members and chairs of the International Standards Organization, and personally hosting both visiting professors and graduate students here at K-State. Boland is a professor of agricultural economics, and associate director of the Arthur Capper Cooperative Center at Kansas State University. He has teaching, research, and continuing education responsibilities in strategy and agribusiness management. He has taught or lectured in more than 20 countries across the world and co-authored more than 20 case studies on cooperatives. For the Department of Agriculutural Economics he developed a course entitled, "International Agribusiness," which incorporates a wide range of study topics and on-site study abroad visits. He has led student study tours in Argentina, Australia, Brazil, Chile, New Zealand, Uruguay, Panama, Costa Rica, Nicaragua, El Salvador, Honduras, and Guatemala involving 113 students. His work at Zamorano University in Honduras led to a productive exchange of graduate students and scholars between our university and Zamorano, perhaps the leading agricultural university in Latin America. His willingness to mentor Saudi students led to the creation of an undergraduate internship program, and now a plan to promote doctoral study by Saudi students at Kansas State. Boland also chairs the U.S. Department of Agriculture's International Task Force, which is responsible for a report on how to infuse international concepts into existing agribusiness programs. He produced a textbook of case studies, most of them with an international focus, which feature contribution by many K-State graduate students and other colleagues. These case studies include many projects, particularly in Latin America, that successfully promoted fair trade endeavors and other practices that have had a positive impact on local agricultural production and business practices. In his efforts to encourage faculty and staff to participate in international study tours, he has personally paid the costs of at least six individuals to enable them to share in the experience. Cable is the Assistant Department Head for the Department of Horticulture, Forestry and Recreation Resources, and is a professor of interpretation and natural resource conservation in the Park Management and Conservation Program at Kansas State University. He has experience working on short term projects or study tours in Scotland, Canada, Australia, Haiti, Colombia, Costa Rica, and the Yucatan Peninsula of Mexico. Cable also has considerable professional experience in Paraguay and West Africa. His work in these places has resulted in many presentations, papers, and a book titled, "Commitments of the Heart- Odysseys in West African Conservation." Recently in 2004 Cable served as an honorary visiting professor at Blaise Pascal University in Clermont-Ferrand, France. Cable has been directly involved in bringing international students and faculty to K-State as well as leading study abroad groups and helping K-State students to study and engage in community service abroad. He has received multiple awards for his teaching, research, advising, and professional service. Born in Kansas to Ukrainian emigres, Nafziger spent most of her formative years growing up in various provinces of Canada. She taught high school in Selkirk, Manitoba (1961-62), Gindiri, Nigeria (1963-65), and Manhattan, Kansas (1973-96). From 1996 to 1998, she taught English as a second language to graduate students at the University of Helsinki, Finland, preparing them to work in the European Union and other international agencies. When she returned to Manhattan, Kansas in 1998, she was hired by the Office of International Programs (OIP) as their Group Study Abroad Coordinator. At OIP, Nafziger was also responsible for international alumni relations, service learning, and internships. She also served as the liaison with K-State Friends of International Programs, an organization she helped create and foster. She organized receptions for K-State alumni in Japan (Tokyo and Osaka), Korea (Seoul), China (Shanghai) and Turkey (Istanbul). Nafziger helped establish a service learning program at the Universidad Popular Autonoma del Estado de Puebla in Mexico. She helped organize the programs for K-State students to teach English overseas in China and Turkey. At the time of her unexpected passing in 2007, she was working on new service learning programs in Botswana, South African, and Turkey, as well as planning to explore new opportunities for service in learning in India. Her contributions to international learning and service continue via a memorial fund established in her name for scholarships for K-State students' study abroad and service learning opportunities, as well as for the Mennonite Central Committee's Teachers Abroad Program and educational, relief, service, peace or development programs in Africa and Asia. Kolonosky is professor of Russian in the Department of Modern Languages. In the 1980s he established Kansas State University's first Office of Study Abroad, making low-cost academic exchanges in Europe, Africa, Asia and Latin America available to K-State students. In addition to enhancing K-State's international reach, Kolonosky has been instrumental in providing linguistic and cultural expertise, often acting as interpreter, translator, as well as adviser to student-athlete recruiters, facilitating communication with Russian government organizations, as well as with professors and students from the former Soviet Union and the current Russian Republic. An expert on Soviet-era Russian literature, Kolonosky has published numerous articles and reviews in journals such as World Literature Today (formerly Books Abroad), The Slavic and East European Journal, Modern Fiction Studies, Canadian-American Slavic Studies and The Russian Literary Tri-Quarterly. His literary criticism about A.D. Sinyavsky has appeared in journals in both Moscow and St. Petersburg. His book, Literary Insinuations: Sorting Out A.D. Sinyavsky's Irreverence, explores the playful dimensions of satire. Richter is a professor of Political Science at Kansas State University. He began at Kansas State University 1966, and his contributions include serving as head of the political science department, director of the KSU South Asia Center, chairman of K-State's Landon Lecture Series and associate provost for international programs. Richter has written numerous journal articles, professional papers, and written book chapters on many international topics. He also co-edited Combating Corruption/Encouraging Ethics and The Landon Lectures: Perspectives from the First Twenty Years. Shaw is an associate professor of Spanish and Director of International and Area Studies at Kansas State University. He served as head of K-State's department of modern languages, was a member of the K-State Latin American studies committee, and he has been director of the secondary major in Latin American studies at K-State. He also has served as director of the secondary major in international studies and in international and area studies for the College of Arts and Sciences since 1995. Shaw has written many articles, supplements and reviews on topics including Latin American fiction, literary history and theory, translation and lexicography, and Hispanic bibliography. He was also co-editor of Critical Perspectives on Garbriel García Márquez, co-author of Luis Romero and co-compiler of Hispanic Writers in French Journals: An Annotated Bibliography. Suleiman is University Distinguished Professor of Political Science at Kansas State University. Some of his administrative responsibilities have included Department Head, Dean's Advisory Committee, African Area Studies Center Planning Committee, Dean's Evaluation Committee, Graduate Program Self-Study Review Group and Secretary-Treasurer, University Distinguished Professors Group. Suleiman has authored numerous scholarly publications about comparative and international politics of the Middle East as well as American-Arab relations, and the Arab-American community, examples of which include U.S. Policy on Palestine from Wilson to Clinton and The Arabs in the Mind of America. He has also served as a member of Editorial Boards of five journals dealing with the Middle East: International Journal of Middle East Studies, Arab Studies Quarterly,Journal of Arab Affairs, The Maghreb Review, Arab Journal of International Studies, and Journal of Muslim Minority Affairs. Norman is a professor of Agricultural Economics at Kansas State University. Beginning in 1965, Norman served as member of the Kansas State University team working at Ahmadu Bello University in northern Nigeria under Ford Foundation auspices, and later became a Kansas State University faculty member. Norman began teaching on campus in 1976. From 1982 - 1990, he served as the chief of party of the Agricultural Technology Improvement Project in Botswana, Africa. He has also served as adviser to the African Student Union at Kansas State University. In 1999 and 2000, he was nominated by the president of the Rockefeller Foundation for the World Food Prize, the highest individual honor for outstanding achievement in improving the world's food supply. Norman has authored or co-authored more than 200 papers since 1964. Additionally, he has consulted on over 50 works written by others.